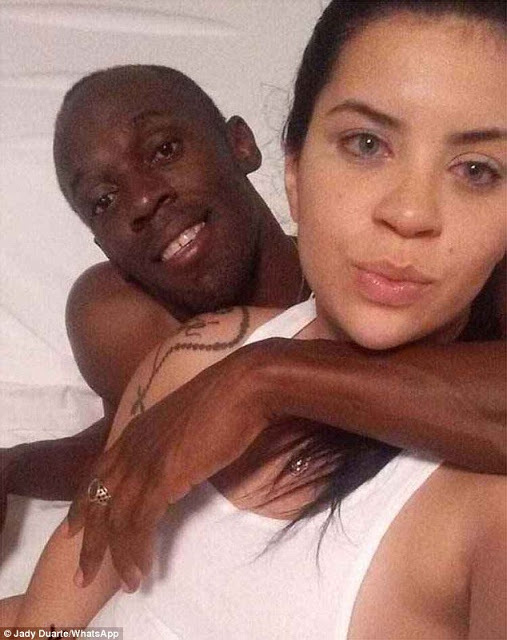 Usain Bolt Pictured With 20-Year-Old Student In Intimate Photos . 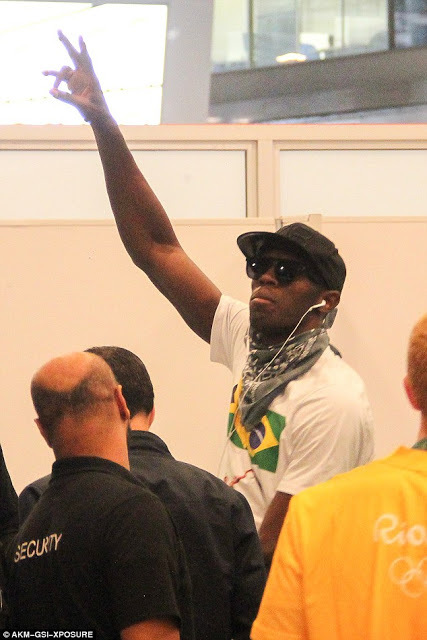 When you are the world's faster runner, why wont you enjoy yourself ..lol . 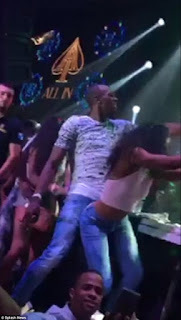 A Twenty-year-old student from Rio has shared photos of what appear to be her with Usain Bolt after a wild night of partying on the final weekend of the Olympics. Jady Duarte shared WhatsApp pictures that show her wearing a white top while embracing a bare-torsoed Bolt - who has a long-term girlfriend. In one of the photos - which first appeared on several Brazilian websites including El Globo after Duarte shared them with friends - Bolt seems to give Duarte a kiss on the cheek while she looks into the camera.The Jamaican sprinter, who turned 30 on Sunday, was also pictured partying until the early hours of the morning at All In, a club in the Barra de Tijuca suburb of Rio.